Extra Judicial Killing: Two more death! By Bangladesh Media, Two unidentified man were killed by Rapid Action Battalion (RAB) in Kustia, a south western district in Bangladesh. Different media published different stories. While Rapid Action Battalion demanded that they were Hijackers. The Daily Independent reports as the deceased were muggers. 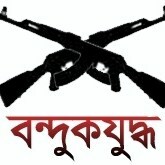 In its two line report says "Two unidentified muggers were killed in an encounter with the Rapid Action Battalion (RAB) at Bhadalia in Sadar upazila early Sunday." Daily Prothom Alo's online edition published the news then removed from its website with out any explanation. Later on it describes the deceased are Ziaur Rahaman 35 and Milon Ali 32 from Kustia. While the daily Star reports as "Two alleged auto-rickshaw lifters were killed in a ‘shootout’ between their cohorts and Rapid Action Battalion members on the outskirts of Kushtia town early Sunday." Referring to a source from RAB it says "the elite force members received information that a gang hijacked a CNG-run auto-rickshaw in Gazipur and moved to the Kushtia-Khulna highway. Being informed by Gazipur Rab, members of Rab-12 went to Bhadalia and challenged an auto-rickshaw passing the highway. The three-wheelers plunged into a roadside ditch after being chased by the Rab men." The report says commander of Rab-12 in Kushtia unit, Lt. Abdullah Al Mehedi said, "Five lifters went out of the auto-rickshaw and opened fire on the elite force members around 2:30am, forcing them to fire back that triggered a ‘gunfight’. Two of the gang was caught in the line of fire and died on the spot while the rest three managed to flee the scene, he said."